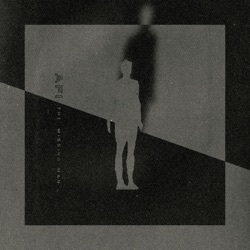 The Missing Man is the 12th EP by AFI, released by Ex Noctem Nacimur on December 7, 2018. ‘The Missing Man’ provides an indication that AFI are returning to capture our hearts once again. As a stopgap between LP releases, The Missing Man is a step forward in AFI's adult evolution and another catalog highlight. Benefitting from a runtime that doesn't overstay its welcome or put too much on the plate, AFI make the most of this short length by covering their fundamental poles of spry punk and mature alt-rock, offering both energetic and gloomy moods, making it a complete and satisfying package. It’s true that The Missing Man likely won’t stay around long in the public consciousness, even for AFI fans, but for a short blast that goes back to what made a great band as great as they can be, this will undoubtedly suffice. AFI share their explosive new EP The Missing Man, making a big statement: they’re not done just yet. In The Missing Man, AFI have carved out an EP that not only satisfies their long-time fans but also gives enough of a taste of what is to come in the next chapter of their ever-evolving discography. It’s a nice, quick dose of AFI that reminds you why you fell in love with them. As perfunctory as most of the decisions are across these five tracks, a sense of enforced edginess makes this EP a cute and endearing experience. Once again, they reassert that they are a force to reckon with in the emo-rock genre. What a great EP this is; AFI once again proving that they are a class act as they explore a variety of avenues, yet never sacrifice the core of their identity. AFI have absolutely not let me down in this EP, with the only critique being that it’s not bloody long enough. The Missing Man is simply a taster, and this appetizer will leave you hungry for more! The Missing Man pushes and pulls as it rushes with poetic colour across the lyrics and extended instrumental techniques. Overall, The Missing Man is a balance between raw and energetic melodies. While AFI fans might be a little disappointed that this isn’t a feature album, although the band have promised one is coming soon, they should be over the moon at just how good this EP is. Overall, the EP might not seem entirely cohesive, but The Missing Man boasts its own characteristic sound unlike anything AFI have done. Taking away everything we know about the band in the past, this new release showcases a very talented band, capable of playing a whole range of different styles they haven’t been able to hone in on yet. AFI is always pushing boundaries and never conforms to cookie-cutter expectations and this EP demonstrates just that. New AFI They have always evolved from album to album, this sounds like another great step. Ukiah native Only heard get dark so far but it’s fast like there older stuff and has depth like burials and the blood album. so beautiful 🖤oh and jade guitar solo is freakin awsome! Best band that’s ever existed! I’m really into it! Very unexpected, but very good! Evolved Love old AFI, love new AFI. They’ve changed over the years as you know. Nobody can put out hard punk for 30 years. This is a great way to make the change.